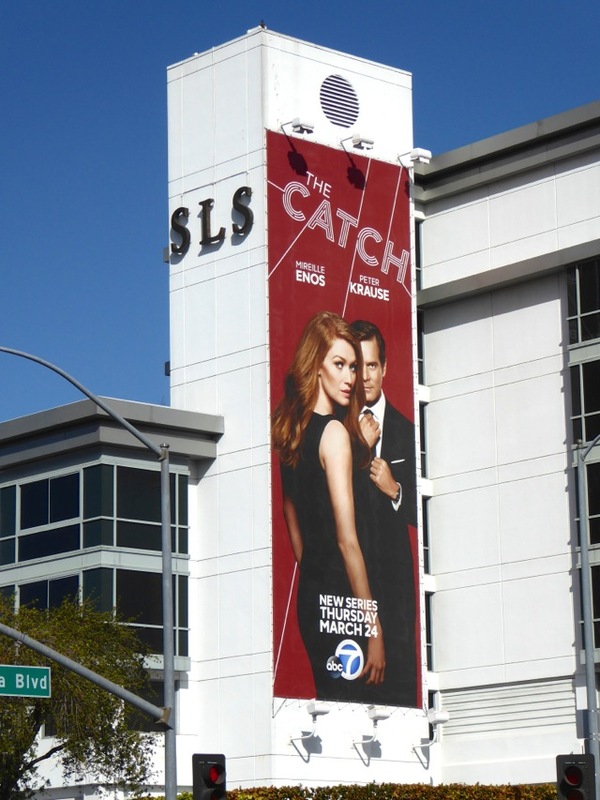 Known for strong lead female characters, diverse compelling casts and social media-worthy storylines, can ShondaLand add another success story to TGIT on ABC, swelling the dramatic ranks of Grey's Anatomy, Scandal and How to Get Away With Murder with its new series, The Catch. 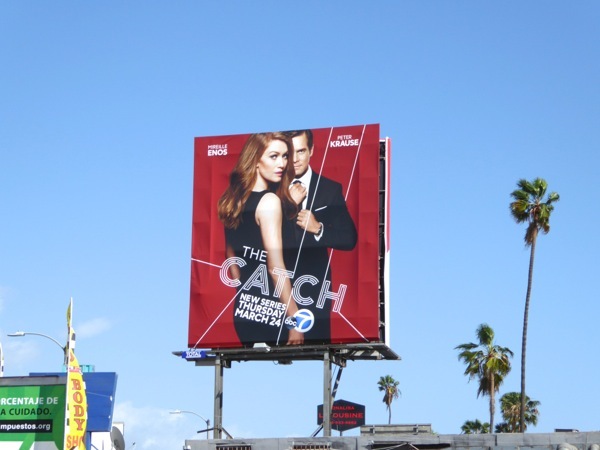 The show's journey to the small screen has not been without its hiccups, with cast and premise changes along the way, but these series launch billboards certainly strike a confident pose around the streets of L.A. at the moment. And speaking of confidence, The Killing's Mireille Enos stars as a top L.A. private investigator, 'Alice Vaughan', who's conned out of her life savings by the love of her life, a fraudulent trickster played by Parenthood's Peter Krause. She vows to track down her ex-fiancé in a game of cat and mouse, doing whatever she has to do to catch him. 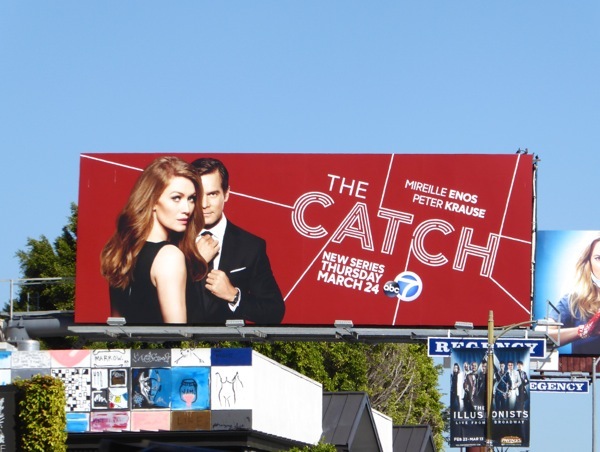 These striking series premiere billboards for The Catch were snapped along La Cienega Boulevard, Sunset Boulevard and Pico Boulevard on March 6, 2016. 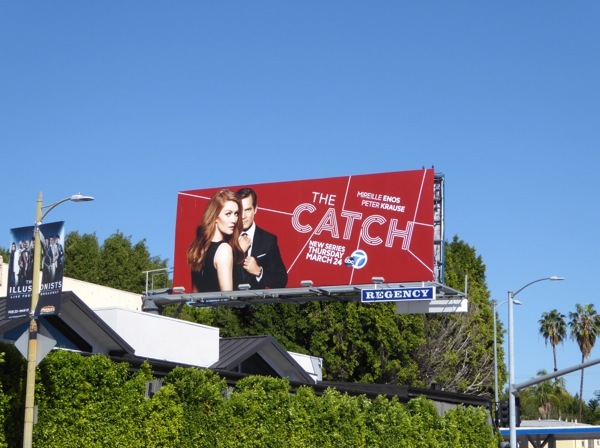 If you're a fan of Mireille Enos, be sure to also enjoy these billboards for The Killing U.S. remake series, and if you're an admirer of Peter Krause you should also check out these Parenthood TV billboards. 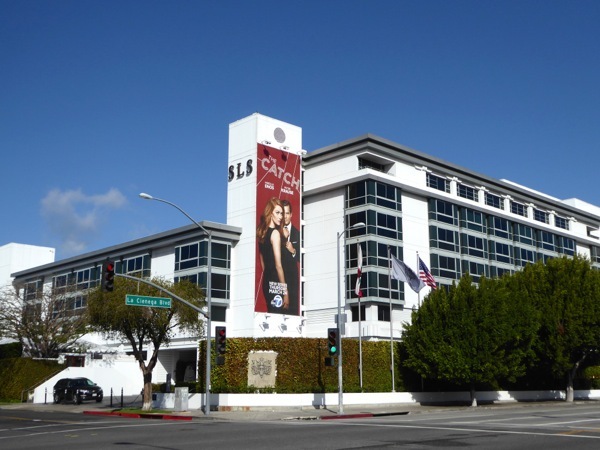 For more Shonda Rhimes production company shows, be sure to check out these Scandal billboards and How to Get Away With Murder billboards. 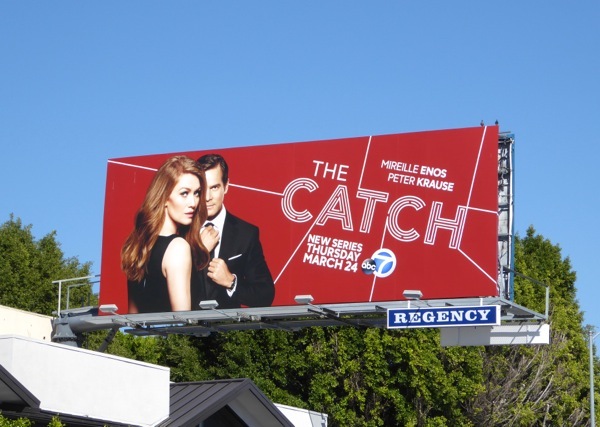 Let's hope that The Catch can emulate the success of those shows and capture its own loyal audience, and not turn out to be another Off The Map series which lasted only one short-lived season.